We are OPEN over Christmas! We are delighted to be opening over the Christmas period! There will be a drop-in running 1.30-4.00pm on Christmas Eve and New Years Eve – open to all refugees and asylum seekers. It will be a slightly reduced service focussing mainly on food provision. The Women’s Group and English classes will not be running and will recommence w/c 7th January. What a fabulous day we had last Saturday at HEART Centre Apple Day in Headingley! We sold Women’s Groups items including ‘wax clingers’. knitted items, banana bread made with Apple Butter and handmade sewn and crochet products and raised £255! All profits will go towards bus fares to get destitute women here to benefit from our services. 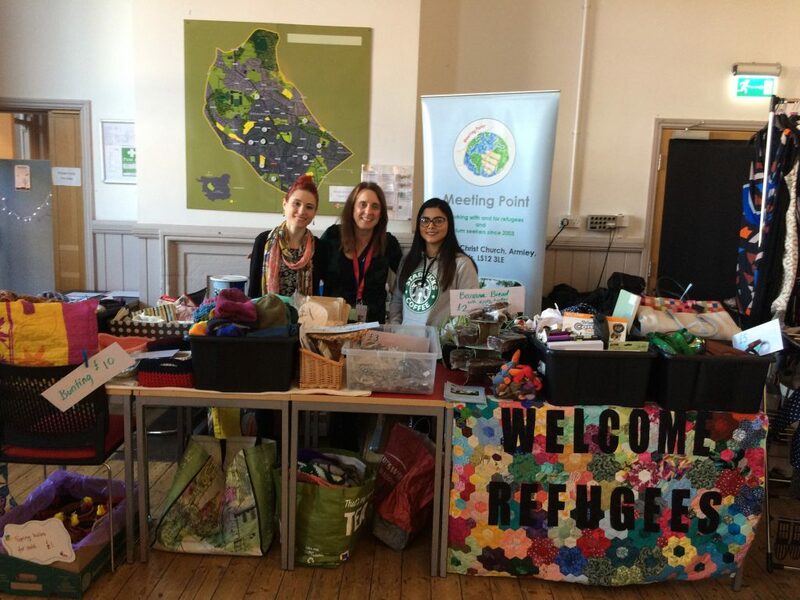 Our next stall will be on 1 December in Armley – just in time for Christmas shopping! Please remember we are closed on Monday 27th August because of the Bank Holiday. Normal drop-in and groups will recommence on Monday 3rd September. Thanks! The drop-in will run 3-5pm during the school holidays but will include all usual service provision. English classes will close for August.